You can’t say the mob wasn’t warned about John Shaft. “He’s a bad dude,” a numbers racketeer cautions them. Now, Shaft himself will deliver that message in a way New York City’s wiseguys understand. 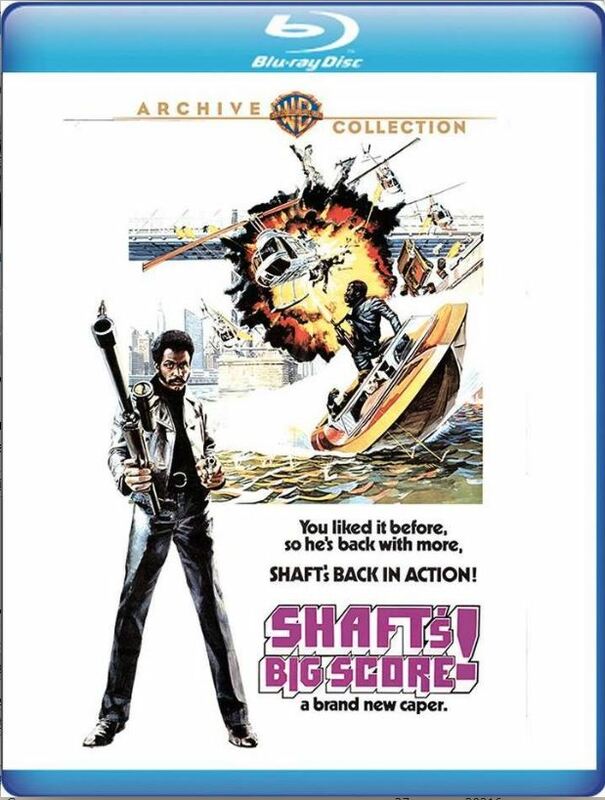 Richard Roundtree reunites with the director (Gordon Parks) and screenwriter (Ernest Tidyman) of 1971’s trendsetting Shaft for Shaft’s Big Score!, the second of Roundtree’s three movie portrayals of the street-smart, leather-jacketed private investigator. This time, the blown-to-kingdom-come murder of a client plunges Shaft into a case that bounces him like a pinball between the 133rd Precinct and competing mobs. But the players are about to be played in this “rousing and entertaining thriller” (Newsweek). Go ahead. Slug, drug, kidnap and leave John Shaft buck naked in a sweltering hellhole. It’s still no deal. If you want to recruit this tough-minded Manhattan detective for an overseas assignment, you’d better use a language he understands. One that offers a fat up-front fee. And a drop-dead-gorgeous accomplice. 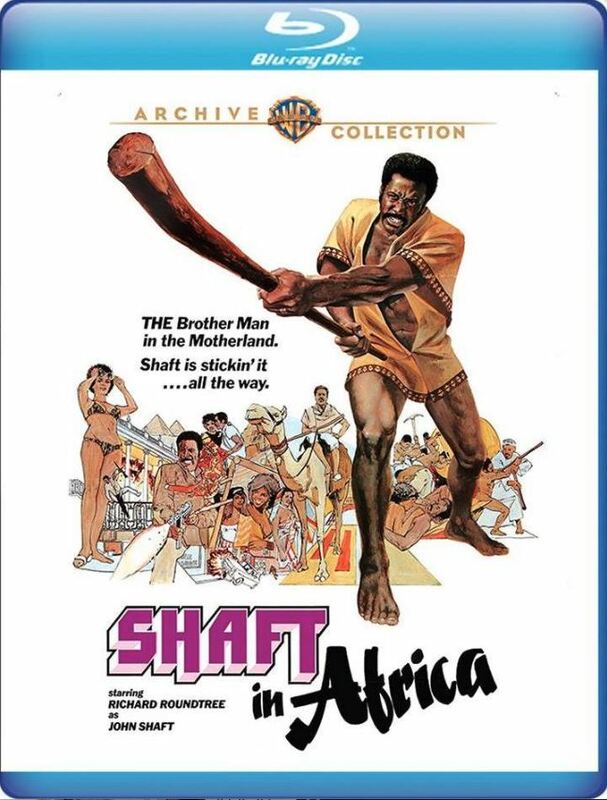 Richard Roundtree returns as the indomitable Shaft, who poses as a slave, unmasks the leaders of an Africa-to-Europe slavery cartel and, for good measure, mixes his business with amorous pleasure involving a beautiful princess (Vonetta McGee). The cool-fire impact of Roundtree’s performances endures: The actor won the 1993 MTV Movie Award for Lifetime Achievement for his work in the three Shaft thrillers. Well, here it is at last – the trailer to Tim Story’s 2019 take on Shaft. When New Line announced the movie back in July 2015 it was promoted as an action comedy sending fans, including myself, running for the hills. 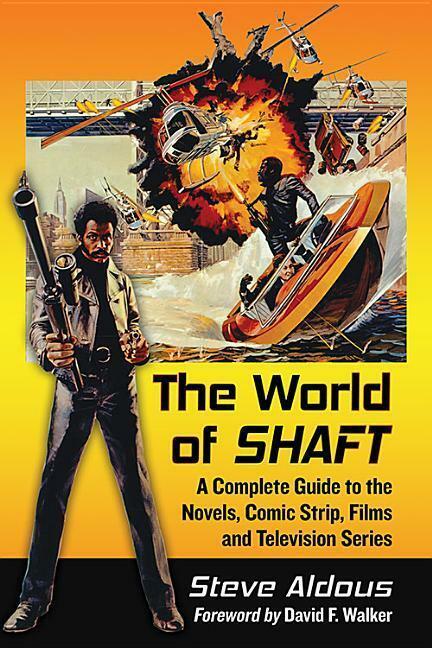 As a Shaft purist – I mean the Shaft of the novels… Ernest Tidyman’s Shaft – I didn’t want to see John Shaft given the Black Dynamite approach, otherwise why not call it Black Dynamite? Whilst the trailer doesn’t suggest the movie has descended the series into camp, it does confirm that the main selling point will be the comedy rather than the plot. Sometimes trailers can be misleading, selling a film the producers believe people want to see rather than the one that has been made. I fear that will not be the case here, so any lingering hopes I had of this being a serious attempt to relaunch the franchise with any semblance of authenticity have all but vanished. That doesn’t mean to say Shaft won’t be a fun movie, I did laugh a couple of times during the trailer – the contrast between the politically incorrect first two Shaft generations (Roundtree and Jackson) and the latest (Usher) also has some interesting possibilities, more than hinted at here. It just doesn’t look and feel like my Shaft… Ernest Tidyman’s Shaft. New Line has published an advance poster (below) for the latest Shaft movie, due to be released on 14 June. 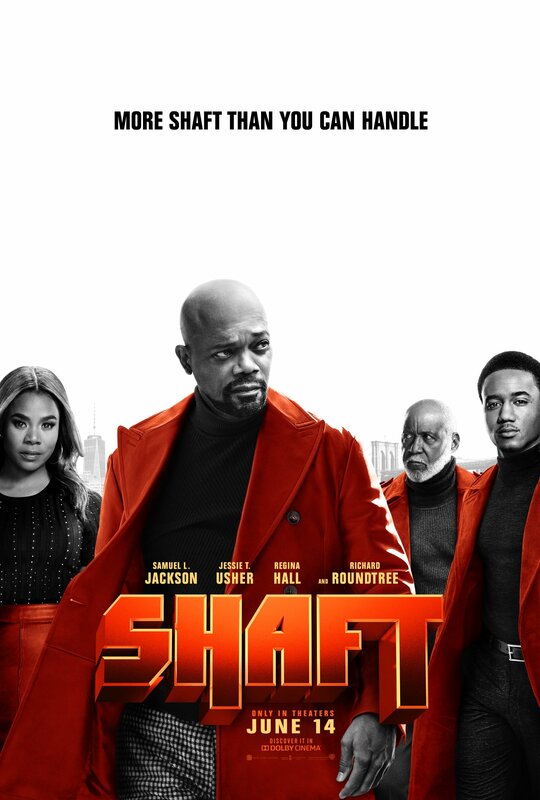 The poster promises “More Shaft then you can handle” featuring Samuel L Jackson, Richard Roundtree and Jessie T Usher as three generations of Shaft – the latter being the son of Jackson’s nephew to Roundtree’s original – following this? A trailer is promised for tomorrow ( 6 February) with a teaser released today. A Twitter site has also been launched. 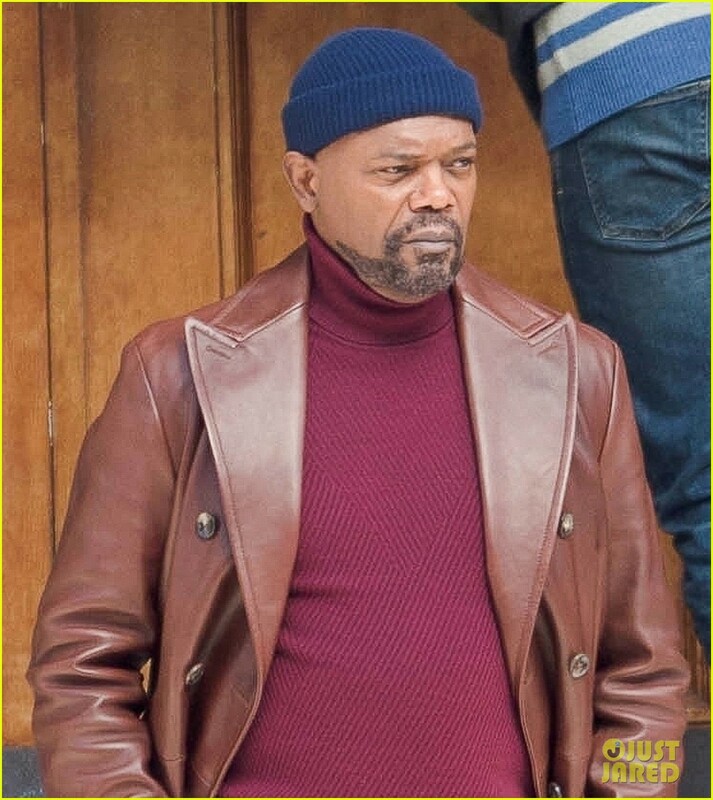 Entertainment Weekly has published what they say is the first official image from the upcoming Shaft movie due to be released in June of 2019. 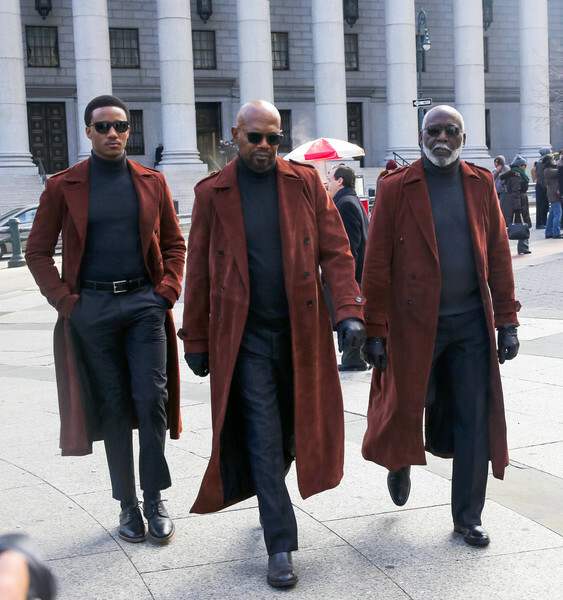 The image shows the three generations of Shaft – Jessie T Usher, Samuel L Jackson and Richard Roundtree – with Alexandra Shipp. The film is a follow-up to 2000’s Shaft and again stars Samuel L Jackson as John Shaft, nephew of Richard Roundtree’s original John Shaft. Roundtree reprises his role and they are joined by Jessie T. Usher playing Jackson’s son. Tim Story directs the screenplay by Kenya Barris and Alex Barnow. Although filming wrapped on Tim Story’s Shaft sequel in February, the cast have been assembled for some re-shoots in Atlanta. Casting agencies are on the lookout for extras who are former or current police or military. The call has also been made for an African American/Black Female with Gray Hair and extras of all ethnic backgrounds for a 1990s flashback scene. Filming will take place this weekend. 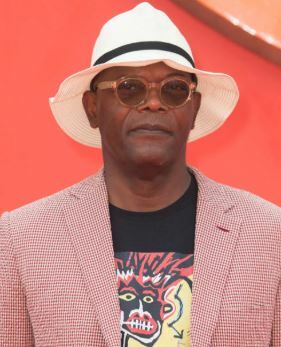 Samuel L Jackson was briefly interviewed at the premiere of The Incredibles 2 in London on 8 July and was asked about the new Shaft movie. He stated the movie’s 2019 June release date was to tie in with Father’s Day, given the nature of the relationship between his character and the of Jessie T Usher in the movie. HIs hinting toward a family orientated theme seems at odds with the previous films in the series, but may just be reflective of the nature of the three generations of Shaft in the movie, with Richard Roundtree also present to reprise his original role. 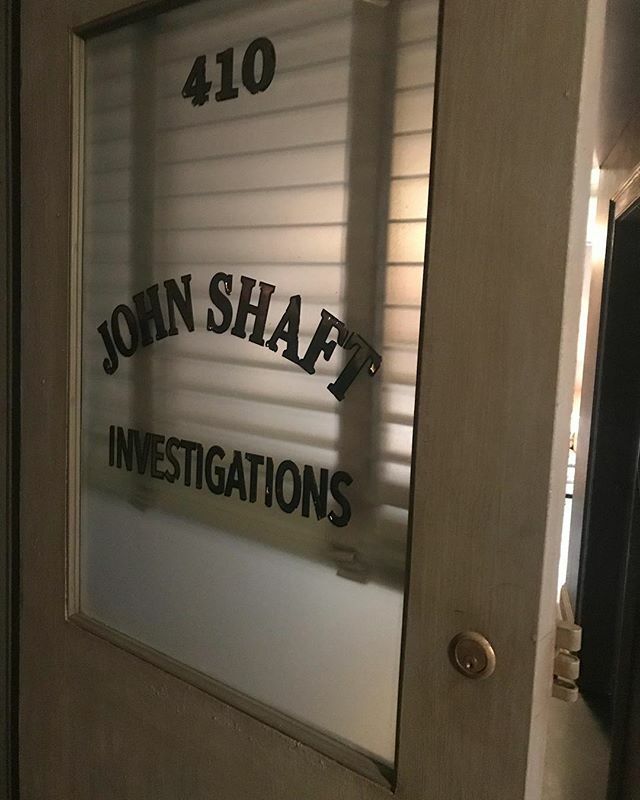 Christopher Lennertz is named by IMdB and Film Music Reporter as the man tasked with writing the score to the latest Shaft movie, due out in the summer of 2019. Lennertz has worked on a host of films and TV series since 1994, including the recent Lost in Space TV reboot. He previously worked with director Tim Story on 2014’s action comedy, Ride Along and its 2016 sequel. He also scored Pitch Perfect 3 and the recent remake of Baywatch. He won an Emmy in 2006 for his score for Supernatural. He has also scored several video games including the James Bond release From Russia With Love, for which he received good reviews for the way he recalled John Barry’s style. 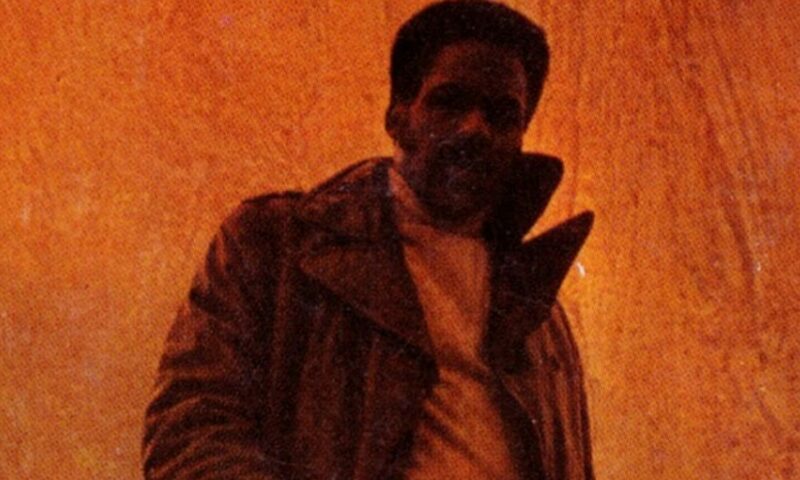 An adaptable composer, it will be interesting to see if he can add a distinctive feel to his score for Shaft. In a recent interview reported on People.com Samuel L Jackson talked briefly about the latest Shaft movie. It was originally reported that the film would be an Action/Comedy. This caused much disappointment and anger amongst fans of the original books and films, myself included. Whilst this statement on its own is unlikely to convince sceptics, it may offer some faint hope that the filmmakers will take the character seriously. However, with the focus being on the original characters’ nephew and nephew’s son it is unlikely the film will resemble Ernest Tidyman’s vision. Why New Line did not consider re-introducing Tidyman’s original character, whether it be in an update or a retro crime thriller, remains a mystery. Trying to extend the Shaft family (despite it being clear in the novels that Shaft had no siblings) takes us further away from the original character concept. As I have said before, my preference would have been for an adaptation of David F Walker’s comic book “origins story”. But I guess this is more about trying to make money than being authentic and respectful of the Shaft legacy.